How did Kenneth and Mamie Clark use dolls to demonstrate the effect of racism on African American children’s self-concept? During research conducted in the 1940s, Kenneth and Mamie Clark investigated the impact of racism on African American children’s self-concept. Children were presented with two types of plastic baby dolls. 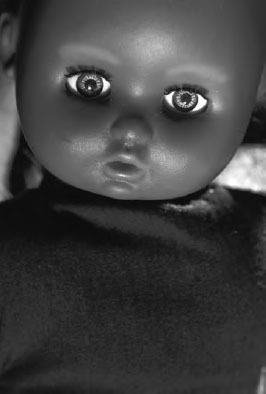 The dolls were identical except for skin color; some were white and some were black. As expected, the children were all able to distinguish the race of the dolls. More importantly, the children tended to prefer the white doll over the black doll, attributing more positive characteristics to the white doll. Furthermore, when asked to draw a self-portrait, many of the children drew themselves with much lighter skin than they actually had. This research was used in the 1954 Supreme Court case Brown vs. Board of Education, Topeka, Kansas. In this landmark case, the U.S. Supreme Court declared racial segregation in public schools to be unconstitutional. Research in the 1940s showed that black children seemed to prefer Caucasian over African American dolls, a finding that helped win a U.S. Supreme Court case that outlawed school segregation (iStock).